This entry was posted in soap challenge, soap making challenge, soap making recipes, Soap making supplies and tagged soap challenge, soap fragrance oil, soap fragrance oils, soap making challenge, soap making supplies, soaps, wholesale fragrance oils on August 28, 2013 by Deborah Ward. If you are looking for a way to expand your soapmaking skills, participate more in the soapmaking community, and compete for fun prizes, you will be excited to hear about the Soap Challenge Club! Soapmakers from all over the world can learn a new technique for cold-processed soap and compete for a significant prize every month! I am hosting and teaching the technique each month, but various soap supply vendors are sponsoring the grand prize. 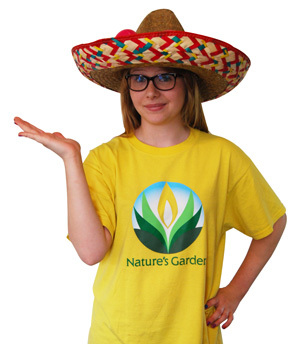 This month’s sponsor is Nature’s Garden, and they will be awarding a $50 gift certificate to the grand prize winner (2nd & 3rd place winners receive free registration to next month’s Challenge Club)! 2. Register and pay a small fee of $5.95 to gain access to the private area where the technique will be laid out via instructional video and written instructions. 3. 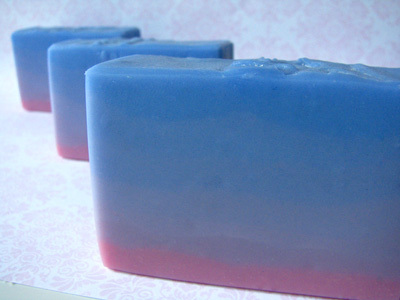 Create a soap using the technique of the month. 1. Document the making and final reveal of your soap with photos and/or video! Create a blog post (preferred! ), video on YouTube, or post photo(s) on Pinterest or a Facebook business page featuring your challenge soap entry. September 18, 2013 – Voting will CLOSE, winners will be contacted! Once registered, you will receive a username and password as well as the link to access the password-protected post containing the video and written instructions to create multi-colored gradient soaps. This entry was posted in candle making supplies, candle molds, candle recipe, candle scents, candle wax, smores candle recipe and tagged candle fragrance oil, candle making, candle making supplies, candle wax, candle wicks, candlemaking supplies, candles, candles that look like desserts, candles that look like food, chocolate fragrance oil, chocolate scents, creative candle recipe, fragrance oils, homemade, how to make a smores candle, marshmallow fragrance oil, marshmallow scents, natures garden, natures garden candle supplies, smores candle, wholesale fragrance oils on August 24, 2013 by Deborah Ward. 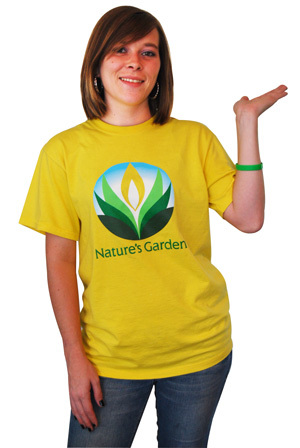 As many of you know, we are currently having a Natures Garden’s staff challenge. Our staff members are challenged to choose some of their favorite fragrances and create a product with them. This challenge allows staff members to have hands-on experience with our products, and it has the potential to provide inspirational ideas for our customers. WIN-WIN! 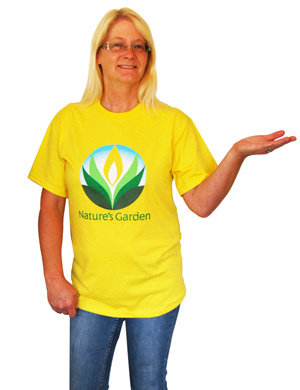 Lynn has been with Natures Garden many years, and she has years of experience making candles. In her spare time, she sells her finished candles at craft bazaars. 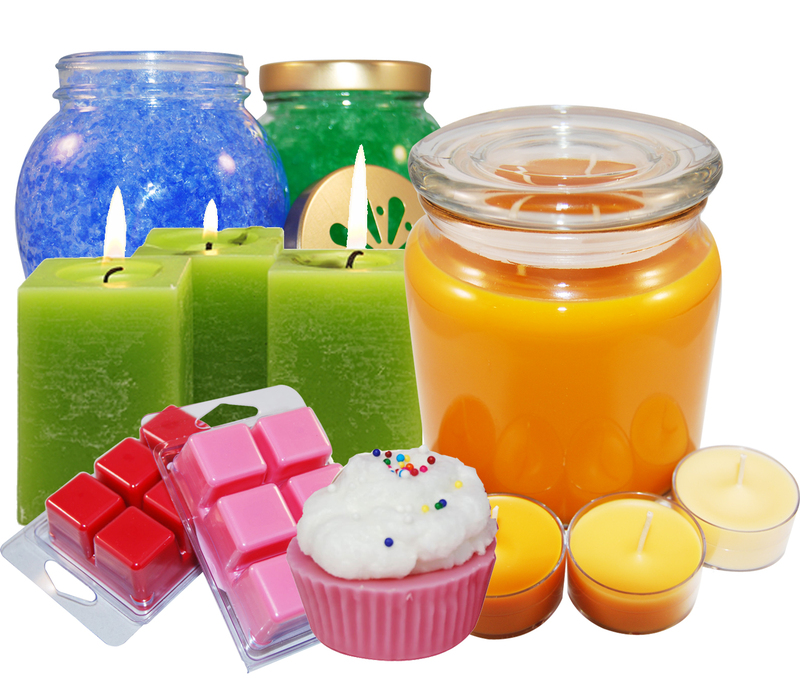 Lynn said that she is always trying to come up with new and exciting candles to sell at bazaars. She came up with the smores candle idea, and I was excited to see the end result. She nailed it! Her candles made we want to make real smores to eat! For those of you who do not know Lynn, she is hard-working, creative, and she said that her motto in life is: “Live life to its fullest” and “Never give up on your dreams”. We are quite honored to have her as part of our staff. Thank you Lynn! 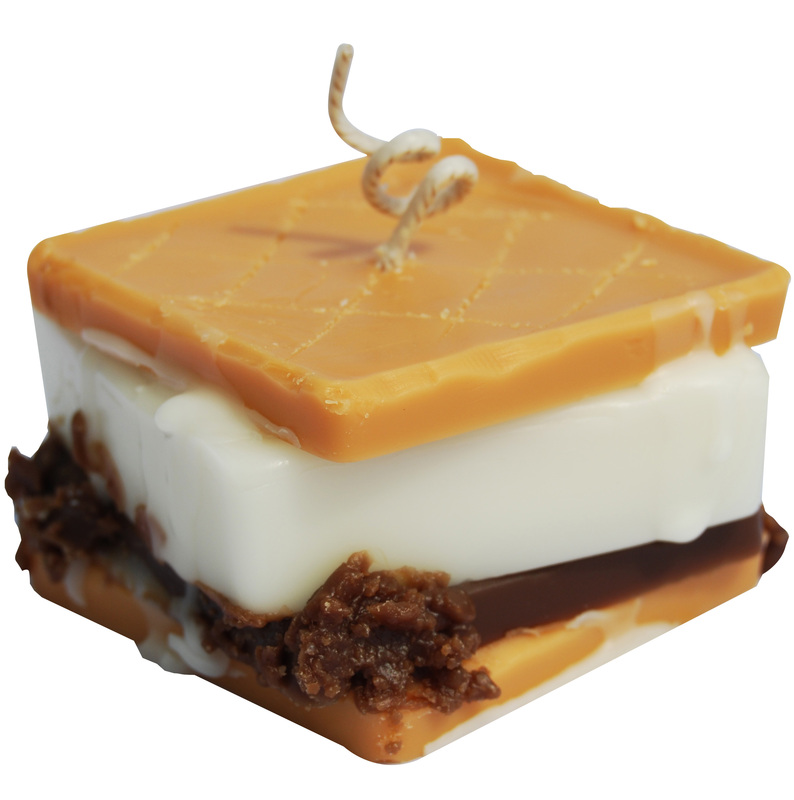 For complete instructions on how to make Lynn’s Smores Candle, please click here. This entry was posted in air freshening scents, bath and body fragrances, candle fragrance oils, cold process soap scents, Fragrance Oils, Natures Garden, scent throw and tagged berry scent, body safe fragrance oils, candle making supplies, cold process soap scents, cosmetic fragrances, fragrance oils, fragrances for candles, fragrances for soaps, fragrances that smell good, fruity scents, good berry scent, homemade, natures garden, scents for body products, scents for candles, scents for soaps, scents that sell all year, scents that smell good, scents with good throw, smells like berries, soap making supplies on August 23, 2013 by Deborah Ward. Natures Garden’s Huckleberry Harvest Fragrance Oil is both a best seller and a Natures Garden’s Original Fragrance Oil. One of the sweetest pleasures of being in the Northwest is huckleberries, especially during harvest time. Typically, for the magical month of mid August through mid September, the aroma and the appeal of huckleberries and all their lusciousness is super sweet. And, now you can have all the berry juicy huckleberry scent you want, regardless of where you live or what time of the year it is with this round full flavored scent! In fact, many of our customers state this fragrance sells year round for them! What does Huckleberry Harvest Smell Like? Natures Garden’s Huckleberry Harvest Fragrance: A Best Seller! An NG Original Fragrance! A bouquet reminiscent of blueberry with raspberry, grape, strawberry and peach top notes with a sweet background. How Do Our Customers Use Huckleberry Harvest Fragrance Oil? For anyone who is a candle crafter or home scenter; Huckleberry Harvest Fragrance Oil is used in paraffin, parasoy blends, gel, soy, soy blends, and Joy waxes. 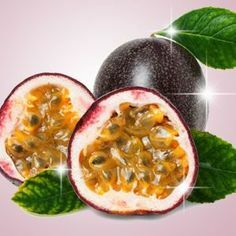 This fragrance oil is even used in Pillar of Bliss wax to make amazing tarts and votives. Since this fragrance oil is very aromatic and has wonderful hot and cold throw, it is considered “a must have” and “a keeper” by many of our customers. This fragrance oil also works well for air fresheners and potpourri. For bath and body crafters, this fragrance is a win! The usage percent for this fragrance oil is 5%. This spectacular fragrance oil is used to make: lotions, creams, melt and pour soap, bath salts, shower gels, body sprays, and shampoos. Finally, for those of you that are cold process soapers, this fragrance is a champion. Here are the official results: Perfect Pour, no ricing, no acceleration, no discoloration, scent holds beautifully and is strong. A keeper. This entry was posted in candle colorants, candle dye, candle fragrance oils, candle making, candle making supplies, candle molds, candle recipe, candle scents, candle supplies, candle wax and tagged blue candle, butterfly tart, butterfly tarts, candle making supplies, candle wax, candlemaking supplies, candles, good quality scents, good scent in tarts, good scents in candles, how to make a hydrangea candle, hydrangea bush scent, hydrangea scent, instructions for candles, natures garden candle supplies, pillar wax, purple candle, scents for candles, scents that work in candles, smell like hydrangea, smells like spring, spring flower smells, spring like scents, wholesale fragrance oils, wholesale scents on August 22, 2013 by Deborah Ward. We are having a staff challenge at Natures Garden where we have asked each staff member to choose one of their favorite Natures Garden fragrance oils and create a project pertaining to that fragrance. Staff members are encouraged to be as creative as possible, using the knowledge they have learned while working at Natures Garden. This week’s staff challenge was done by Crystal! 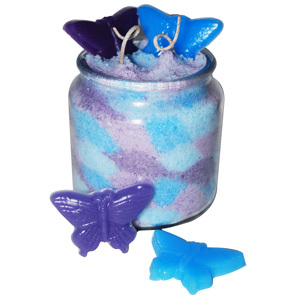 Crystal has only worked at Natures Garden for 1 month, and we were blown away by the creativity she used when creating her Hydrangea Candle with butterfly wax tarts. Crystal loves floral scents, she loves the colors blue and purple, and she loves butterflies. Her project depicts a contemporary spin on the various colors found in a hydrangea bush. She made the candle come alive by adding butterfly tarts. Very creative, and like nothing we have seen before. To make the candle, she used Natures Garden’s Pillar of Bliss wax that comes in granulated form. She melted the very same wax to create her butterfly tarts. For full instructions on how to make Crystal’s Project, please visit this page. What should I charge for my candles? This entry was posted in candle making, candle making questions, candle making supplies, candle scents, candle supplies, candle wax, candle wicks, candles, fragrance oil, Natures Garden, Natures Garden Wholesale and tagged candle making, candle making questions, candle making supplies, candlemaking supplies, charge for candles, hiring independent sales reps, hiring sales reps, how to grow your business, how to increase sales, independent sales reps, making candles, natures garden, natures garden candle supplies, natures garden wellington ohio, retail cost of candles, selling candles retail, selling candles wholesale, what does a sales rep do, what price should candles cost, what to charge, what to charge for candles, wholesale fragrance oils, wholesale price of candles on August 22, 2013 by Deborah Ward. Customers frequently ask us this question: What should I charge my customers for my candles? This is a question that many candle makers often ask. Knowing what to charge for your candles is a pivotal point in your business. You want your price of the candles that you sell to be competitive. You also want to remember that the candle price should also reflect not only your cost but the time that you put into your candle making procedure as well. What to charge for my candles? When I made and sold finished candles, I had an easy equation that I used to figure out the price I would charge my customers for my candles. First, I added up all of my expenses. This told me how much it cost me to make the candle I was going to sell. When I sold my candles at wholesale prices to stores, I charged the customer double what I paid to make the candle. When I sold directly to retail customers myself (without sales reps involved), I charged the customer triple what I paid to make the candle. After I was in business a while, I realized that in order to sell more products, I would need to get help from other people. That is where Independent Sales Reps were introduced in my candle company. When a candle sale was made by a sales rep, the sales rep received 1/3 of every sale, 1/3 went to cover the cost of making the candle, and 1/3 was my profit. Fundraisers were conducted the very same way: 1/3 of the sale went to the non-profit organization, 1/3 went to cover the cost of making the products, and 1/3 went to me as profit. To view how hiring an independent sales rep for your business can help to increase your sales, please click on this link. I hope this helps you when you price out your candles. How much candle wax do I need to fill my jars? This entry was posted in candle fragrance oils, candle making, candle making questions, candle making supplies, candle recipe, candle supplies, candle wax, candles, Natures Garden and tagged candle fragrance oil, candle making equation, candle making questions, candle making supplies, candle making volume, candle making weight, candle wax, candle wax and jars, candle wax from weight to volume, candle wax to find in jar, candle wax to fit in container, candlemaking supplies, candles, how much candle wax do I need, how to figure out candle jar volume, making candles, melting candle wax, natures garden, natures garden candle supplies, natures garden wellington ohio, new to candle making, total weight needed for wax, what is the volume of my candle jar, wholesale fragrance oils on August 21, 2013 by Deborah Ward. One of the most frequent questions we are asked by new candle makers is: How much candle wax will I need to fill my jars? And, the solution is really simple to find out with this equation. Basically, you will find that 1 pound (by weight) of candle wax will equal 20 ounces (in volume) when pouring into containers or molds. With this knowledge, you can use simple math to figure out how much candle wax you will need to fill your containers or molds. Take for example that you are making 6 oz. hexagon container candles for a wedding. For this order, you have to make a total of 200 wedding candles. The question you are asking yourself is, “how much candle wax will you need to fill all 200- 6oz. jars”? Here is the equation to figure it out: Take 200 x 6 to come up with your total weighted ounces. For this example, the answer is equal to 1200 ounces. Now, you must divide your total weighted ounces (1200 ounces) by 20 (volume ounces) to find out the total pounds of wax you will need for your wedding (60 pounds of wax). Let’s try one more example since the 16oz. 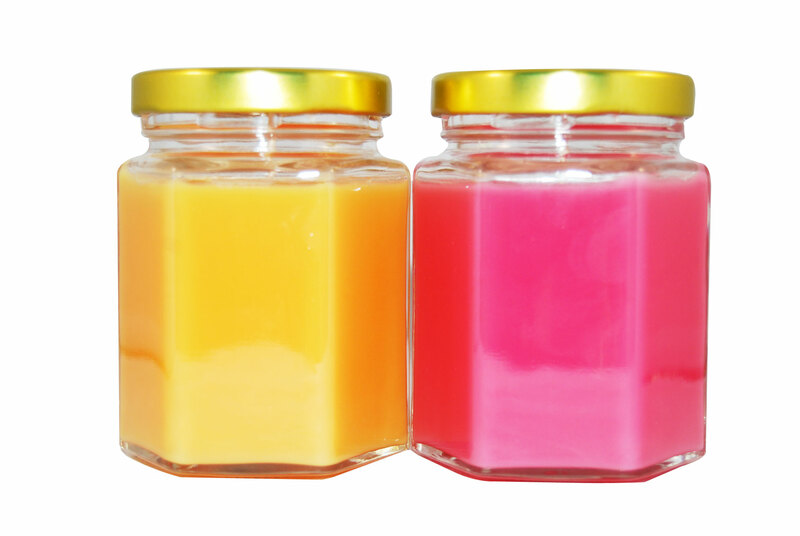 jar size is one of the most popular sized jars that candle makers sell. Now, you want to make 24 candles, all of which will be poured into 16 oz. jars. This equation would compute to: 24 (the amount you have to make) x 16 (the ounce size of the jar)= 384 (the total number of ounces). Now take 384 and divide this by 20 (the volume) and the answer you get is 19.2 pounds of wax (thus you should likely get 20 pounds of wax to cover yourself. Remember the equation: Number of Candles you want to make (multiplied by) Volume of your containers (divided by) 20 = Total number of pounds of wax you will need to do your project. We hope that this simple equation will help you figure out how much wax you will need in the future. This entry was posted in Air Fresheners, air freshening scents, bath and body, bath and body fragrances, bath products, candle fragrance oils, cold process soap scents, Fragrance Oils, Natures Garden, wholesale fragrance oils and tagged aloha fragrance, aloha scent, body safe fragrance oils, candle making supplies, cold process soap scents, cosmetic fragrances, feminine fragrances, floral and fruity scents, floral scents, fragrance oils, fragranceoil, fragrances with good scent throw, fruity scents, good tropical scents, natures garden, scents for bath and body, scents that work well, scents with strong throw, smells like hawaii, soap making supplies, tropical flower fragrances, tropical flower scents, tropical scents, where to buy fragrances on August 21, 2013 by Deborah Ward. 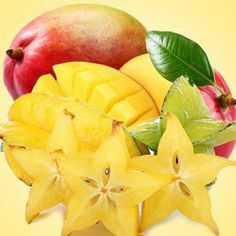 If you are looking to add a super unique fragrance oil to your finished products line, Aloha is a fabulous fragrance that has a tropical get-away appeal. 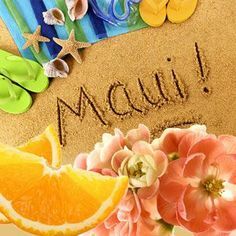 In Hawaiian, Aloha is a homonym that means both Hello and Goodbye. 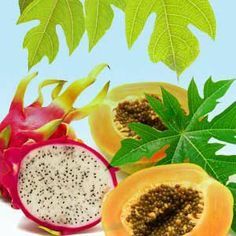 So, it is also fitting in the fragrance world that the Aloha scent is too a combination of fragrances both fruit and floral. And, in keeping with the Aloha tradition, these certain notes are not heavier nor are they more dominant than one another. Goodbye stressful reality and hello sweet smelling vacation. 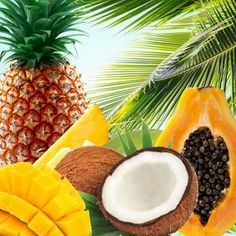 Aloha Fragrance Oil is just the perfect mixture of all things good and tropical. What does Aloha Smell Like? Natures Garden Aloha Fragrance Oil: A tropical delight that combines sweet coconut and juicy island fruits with exotic, and delightfully fragrant native flora of tiare and plumeria flowers. How Do Our Customers Use Aloha Fragrance Oil? For all of you candle crafters out there; Aloha Fragrance Oil is used in Soy, soy blends, paraffin, WOW, Joy, and Pillar of Bliss waxes. This fragrance is very aromatic and has no problems with scent throw. This fragrance oil also works well for room fresheners, whether it is odor eliminator, smelly jellies, or sachet beads. For bath and body crafters, this fragrance is a win! The usage percent for this fragrance oil is 5%. 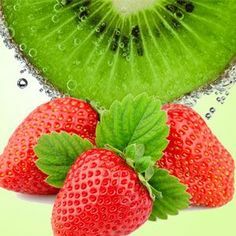 This amazing fragrance is used to make: solid lotion bars, bath bombs, body scrubs, spray lotions, perfumes, melt and pour soaps, body sprays, bath gels, whipped body butters, conditioners, and salt bars. Finally, for those of you that are cold process soapers, this fragrance did awesome. Here are the official results: No acceleration. No separation. No ricing. Strong scent! No discoloration. Very nice! This entry was posted in bath and body, bath and body fragrances, bath products, body butter, body frosting, candle fragrance oils, candle making supplies, cold process soap, Fragrance Oils, Natures Garden, vanilla scents, wholesale fragrance oils and tagged bakery scents, best scents for lotion, body safe fragrance oils, candle making supplies, cold process soap scents, cosmetic fragrances, designer duplicated scents, fragrance oils, good sweet scents, good vanilla scents, natures garden, scents for bath and body products, scents for bath bombs, scents for candle making, scents for vanilla fans, scents that are mixers, scents that smell good, scents with good scent throw, soap making supplies, sweet scents, vanilla fragrances, vanilla lover scents, vanilla scents, vanilla scents that sell well, what are good vanilla fragrances, what are some good vanilla scents, what smells do people like on August 20, 2013 by Deborah Ward. If you are looking for a great vanilla fragrance oil without the bakery notes often associated with it; Natures Garden’s Vanilla Bean Fragrance is your answer. Vanilla Bean Fragrance Oil is hands down one of the best straight vanillas on the market. This fragrance oil is an absolute favorite among crafters and was even listed as a customer favorite fragrance oil in a recent Natures Garden poll. This wonderful and deep fragrance oil is awesome as a straight fragrance oil and is amazing when mixed with other fragrance oils too. If you or your customers love vanilla fragrance oils, Vanilla Bean Fragrance Oil is right up your alley. What does Vanilla Bean Smell Like? Vanilla Bean is a sweet, sugary aroma of fresh vanilla beans. How Do Our Customers Use Vanilla Bean Fragrance Oil? If you are a candle crafter, Vanilla Bean Fragrance Oil is used in paraffin, WOW, Joy, ecosoya, Pillar of Bliss, and Soy waxes. The scent is very strong and aromatic in both the hot and cold throw. This fragrance oil also works well in smelly jellies and sachet ornaments too. For bath and body crafters, this fragrance oil performs very well in finished products. In fact, Natures Garden’s Vanilla Bean Fragrance Oil is very similar to another well known company’s Vanilla Bean Noel. The usage percent for this fragrance oil is 5%, and the Vanillin Content is 9.2% so Vanilla White Color Stabilizer is advised by our customers to stabilize discoloration in finished products. This fragrance is used to make: lotions, bath bombs, body scrubs, perfumes, melt and pour soaps, bath gels, and whipped body butters. Finally, for those of you that are cold process soapers, this fragrance fared very well. Here are the official results: Perfect Pour. No ricing, no acceleration. Discolors to a dark chocolate. A very complex really sweet scent. This entry was posted in bath and body, bath products, cold process soap, Fragrance Oils, lemonade soap recipe, melt and pour soap, Natures Garden, soap challenge, soap making recipes, Soap making supplies, soap recipe and tagged cold process soap, diy projects, diy soap projects, easy soap recipes, fun soap recipes, homemade, how to make lemonade soap, how to make lye soap, how to make soap, how to make your own soap, lemonade fragrance oil, lemonade scent, lye soap, melt and pour soap, natures garden, soap fragrance oil, soap fragrance oils, soap making supplies, soap recipe for cp, soap recipe for m&p, soap recipe with cp and m&p, steps for making soap, summer craft projects, summer scents, using the soap calculator, wholesale fragrance oils on August 17, 2013 by Deborah Ward. The staff members at Natures Garden are having a challenge! Each staff member has to come up with their own recipe using various Natures Garden supplies. The project has to be made with one of their favorite Natures Garden fragrance oils, and they are encouraged to be as creative as possible. Bailey was the first staff member to partake in the challenge, and her recipe is what she calls: Cold Fashioned Lemonade Soap. When asked why she chose to make lemonade soap, Bailey replied, “Lemonade reminds me of summertime; sitting on a porch and drinking an ice-cold glass of lemonade”. Why did she decide to make soap as her project? 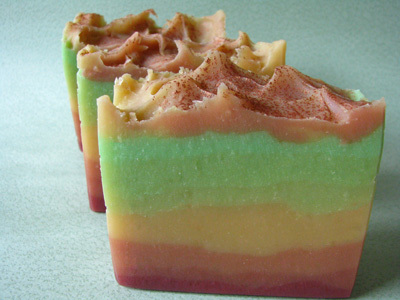 Bailey said that since she has experience working with both cold process and melt and pour soap, she wanted to create a recipe that involved the usage of both. 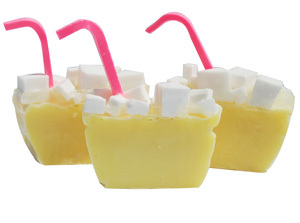 The base of her lemonade soap is made of cold process soap, while the top portion of her soap is made with melt and pour soap. Bailey used the soap calculator to create her very own cold process soap recipe, checking the values to ensure she was within the range for a typical bar of soap. She also incorporated beeswax in her soap to make the soap a little bit harder. To give her soap more bubbles, she added castor oil to her recipe. Bailey is a big fan of cocoa butter, so she added that to provide the skin with conditioning aspects. How would Bailey describe herself? Bailey says she is the type of person who loves to make people laugh. Bailey said, “Wherever Bailey goes, the fiesta follows her”. What a FUN person to work with! If you are interested in making this recipe, please click Here To see Bailey’s Cold Fashioned Lemonade Soap Recipe. This entry was posted in bath and body, bath and body fragrances, bath products, candle fragrance oils, candle scents, Designer Duplication Fragrances, Fragrance Oils, Natures Garden, wholesale fragrance oils and tagged body safe fragrance oils, candle making supplies, citrus fragrances, citrus smelling scents, cold process soap scents, cosmetic fragrances, designer duplicated scents, feminine scents, fragrance oil, fragrance oils, fragranceoil, fruity scents, homemade, how to save money, make your own body spray, making bath and body products, making homemade bath and body products, natures garden, pretty smelling scents, scents for making body scrubs, scents that work well for cp, scents with strong throw, soap making supplies, spring summer scents, what is a best selling scent, what scents smell best, what scents work best on August 17, 2013 by Deborah Ward. A Best Selling Fragrance Oil, Natures Garden’s Loving Spell will give your products an entrancing appeal. NG Loving Spell Type Fragrance Oil was selected as the 4th highest ranking fragrance oil in Natures Garden’s recent Customer’s Favorite Fragrances Poll. In fact, this fragrance oil is scent on perfection in every product line; and many of our customers highly suggest it because it is always a leader in their sales. Needless to say, NG Loving Spell Type Fragrance Oil is loved by all! What does NG Loving Spell Type Smell Like? A Best Seller! 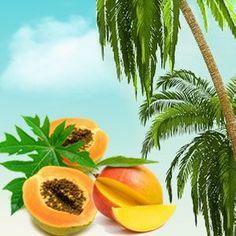 An absolutely tantalizing fragrance composed of sweet bouquet of mandarin orange, bergamot, and tangerine enhanced by hints of fresh peaches, strawberries, and raspberries on an undertone of white musk. Imaginative and very complex! Compare NG Loving Spell Type fragrance to VS Love Spell. Natures Garden is in no way affiliated with VS. Our fragrance is not identical, just similar. How Do Our Customers Use NG Loving Spell Type Fragrance Oil? For those of you that are candle crafters; our customers use this fragrance oil in their Gel, Soy, Pillar of Bliss, Palm, paraffin, WOW, and Joy wax candles. The scent is amazingly strong and aromatic in both the hot and cold throw. Many of our customers also use this fragrance oil in their tart and oil burners. For bath and body crafters, this fragrance oil has tons of uses. 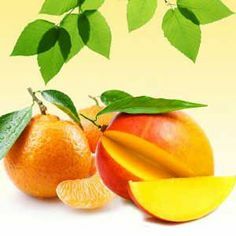 The usage percent for this fragrance oil is 5%, and is used to make: body scrubs, perfumes, melt and pour soaps, lotions, bath gels, whipped body butters, shampoos, conditioners, and spray lotions. Finally, for those of you that are cold process soapers, this fragrance is remarkable. Here are the official results: Amazing scent, no ricing, no acceleration, no discoloration.